We’re writing to let you know about an exciting opportunity Bold Music is offering to our intermediate and advanced students this summer. 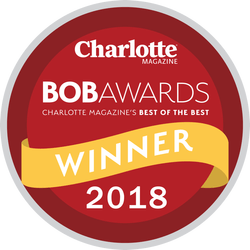 We have been in contact with Charles Holloman Productions, one of Charlotte’s most expansive and sophisticated recording studios, about holding a studio recording and songwriting camp this summer. I had the privilege of working there as an intern while in college and got to learn what working in a studio is all about, while getting an inside look at what it means to be a recording artist. Participants in the camp will learn first-hand from Charles Holloman, owner and chief engineer at CHP, all about the science, culture, and different fields of recording, using the latest industry-standard technology. Charles is not only an excellent teacher but he is also an inspiring (and super cool) guy. He is excited and willing to take time out of his busy schedule to work with Bold Music this summer. Furthermore, we will break into groups and work on songwriting. This will include daily sessions with Bold Music instructors and another accomplished artist/producer, Jason Scavone. These sessions will include individual and group work on arranging, composing and playing with a studio band. Finally, and perhaps most exciting, participants will get the chance to record their music! Whether it is an original composition worked out in our songwriting sessions or a cover of a well known classic, each participant will have ample time in the recording booth to lay down professional tracks with Charles Holloman at the controls. This is a one of a kind opportunity. Our camp will be limited to at most 10-12 participants, so hurry and contact us before all slots are filled! This first year, we are only offering this to our intermediate and advanced students. We feel like we have put together the best option BY FAR. We are committed to keeping numbers small and only having students of similar age and skill levels to participate. Most musicians never even get the chance to record in a studio, and having the chance to be in Charlotte’s premier recording studio for a whole week makes us wish we were kids again! -Participants will rotate in small groups between songwriting/individual sessions, recording sessions and recording/engineering sessions. -Participants will need to bring sack lunches to minimize downtime. Once we have gauged interest level, we will provide a more detailed schedule. If this is something you and your child is interested in, please respond. Also, please let us know if the dates above work well, or if we need to look at some other options. Thanks, and as always, Rock On!